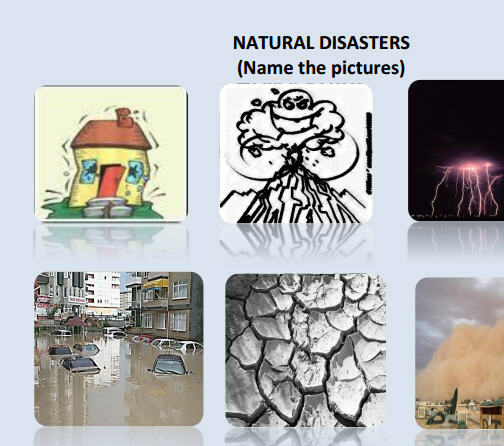 It is a matching activity to teach natural disasters. 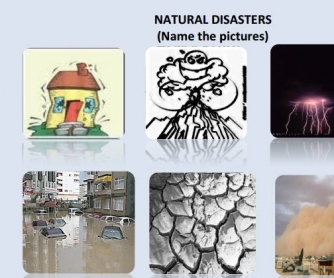 Students will learn the kinds of natural disasters via pictures. It is suitable for elementary and pre intermediate students. You can ask questions about the pictures and students can write descriptive paragraphs for each. It is suitable for comparing artifical disasters with natural disasters, too.